Looking to buy Highlands NC real estate? I have a great condo listed for sale in a convenient location. This quaint 2 bedroom, 2 bath condo is located a short two block walk from Main Street at 510 N 5th Street. 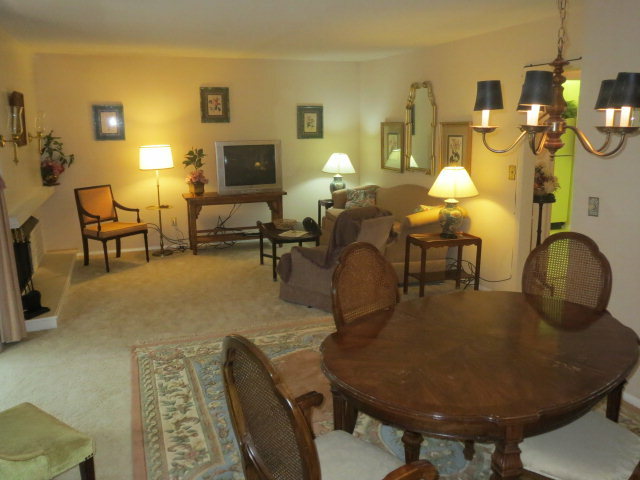 Extremely affordable this condo also offers the opportunity for renting it out when not in use. Highlights of this charming Highlands condo include a covered porch overlooking green space, a fireplace in the great room, and the fact that it comes fully furnished. This condo is turn-key offering easy, maintenance-free living, whether you want to live in it full time or keep as a weekend getaway. Contact me, Lynn Kimball, today to learn more about this condo or any other Highlands NC property currently listed for sale. While there are many luxury homes in the area there are many starter vacation properties as well. Let my knowledge and experience work to your advantage to locate a property that suits your needs, your finances, and your lifestyle.